Thinking of shipping your motorcycle overseas? Whether you are relocating or going on an extended stay outside the country, you may want your own motorcycle. 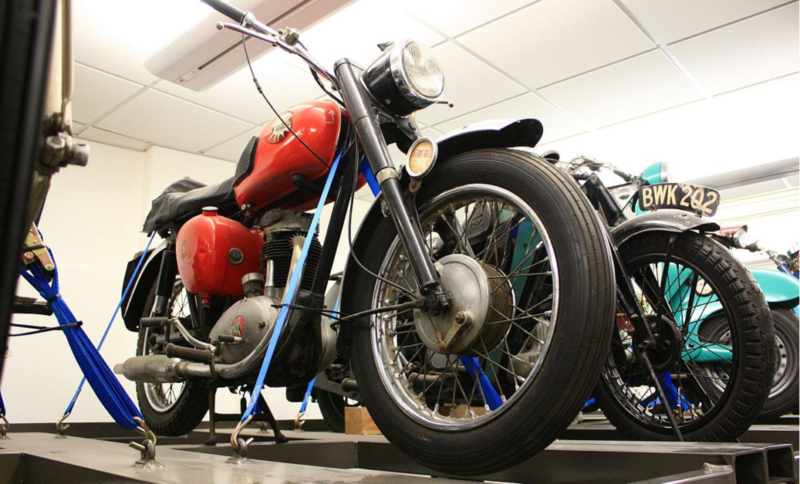 When the situation calls for international motorcycle shipping, there are many things you need to keep in mind. EasyHaul offers reputable and affordable motorcycle transport services to anywhere in the world. In this blog, we share four key points to consider before handing over your vehicle to a motorcycle shipper. One of the first points to consider before going for international motorcycle shipping is choosing the best motorcycle transport services provider. You need to make sure that the carrier is authorized by law and has a legitimate motor carrier number, which allows them to legally move and haul vehicles. In addition, the auto-shipping company should have the necessary equipment and tools to safely carry out the shipment. You must follow some important steps to ensure your motorcycle is safely shipped to the desired location. Clean it thoroughly, take photographs of any chips, dings, scratches, or cosmetic damages, and note down any mechanical damage to the motorcycle before handing it over to the auto-shipping company. Unless you are moving your motorcycle as freight through a carrier, you don’t need to drain your gas tank or remove the battery. There are a number of ways and carrier types to transport your motorcycle. You can opt for terminal-to-terminal delivery, which entitles you to drive your motorcycle to the service provider, or the door-to-door transfer, where the company will pick the vehicle from your start location and drop it at the desired location. When it comes to choosing the best carrier type, you can choose from range of options, including open and enclosed shipping. One of the key considerations when shipping your vehicle is that the shipping service provider must be in possession of liability insurance. EasyHaul only works with drivers who are certified and self-insured. In the event damage occurs, EasyHaul will provide you all the necessary information in order to file an insurance claim. Make sure to provide the proper paperwork to the shipper. Having the incorrect paperwork may result in delays in pick-up or delivery, and potentially more fees that must be paid by you. If you cover all the above mentioned points when shopping around for international motorcycle shipping, you ensure your motorcycle is safe and you don’t have to pay more that you need to. EasyHaul is your one-stop destination for domestic and international vehicle shipping services at affordable rates. To get a quote on your shipping requirement, visit our website and provide relevant details, or call us at 360-597-9320.